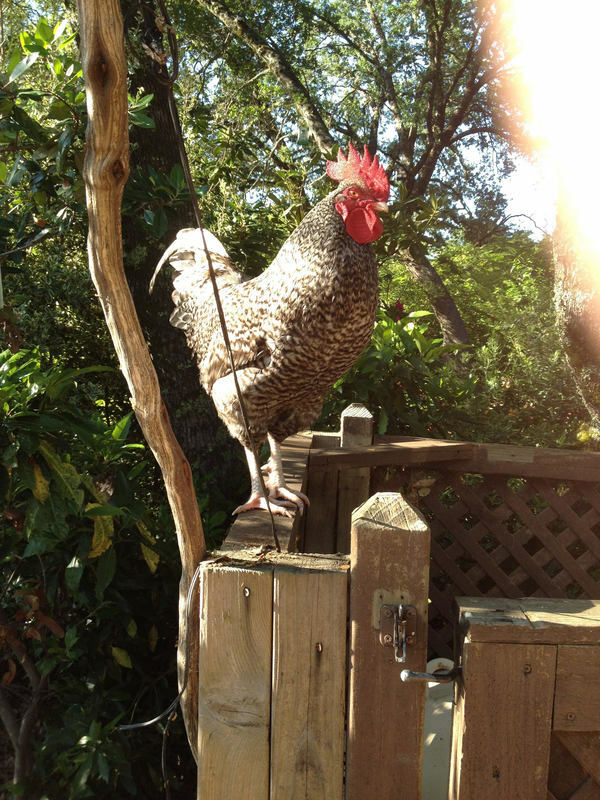 This handsome young rooster is looking for a new home. His owner wrote, " I have a 3 year old rooster that needs a new home. He is a good protector of his hens, but I only have 3 hens and that is too small of a flock for him. My 5 acres are fenced, so he is used to free ranging with his flock. He is a purebred Cuckoo Marans, a nice breed whose hens lay dark chocolate-colored eggs. If you are interested in this rooster please contact AAE. Thank you!